South Charlotte is a broad area made up of several towns, neighborhoods, and subdivisions. It has been said that South Charlotte is where "old money" like the homes in Meyer's Park, Dilworth and Quail Hollow meets "new money" with homes in areas like Rea Woods, Providence Country Club and Ballantyne. 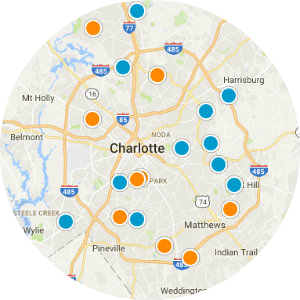 There is so much to do in South Charlotte; it is a hub of activities and trendy new establishments to test out and frequent. South Park, Carolina Place/Blakeney, and Phillips Place are widely popular shopping centers with plenty of retail, restaurants and entertainment to try out, decide you love the food, and come back for more. A movie theater is in Phillips Place as well as bookstores and cafes where, in a very picturesque manner, residents can read their favorite literature while sipping on a cup of joe or a latte at Dean & DeLuca. In the Historic District of South End, homeowners can check out the young art-scene at a gallery, stand in awe of the city skyline, or become a local at the bars and pubs on the strip. South Charlotte has a wide variety of apartments, condos, townhomes, and single-family houses for sale awaiting future homebuyers. 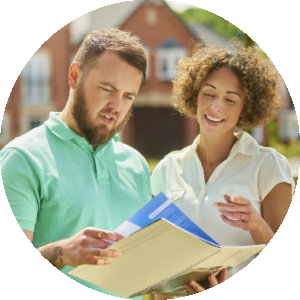 Areas like South Park, Pineville, Matthews, Steele Creek, and Blakeney provide different experiences for buyers looking to buy a property. While homes in many of these subdivisions are grand, luxurious Charleston or Colonial style houses perfect for affluent buyers to call home, there are beautiful condos available as well. South End along the Lynx rail line is home to a "young professional" demographic, and there are numerous styles of condos and townhomes available for buyers looking for a quaint but modern touch. 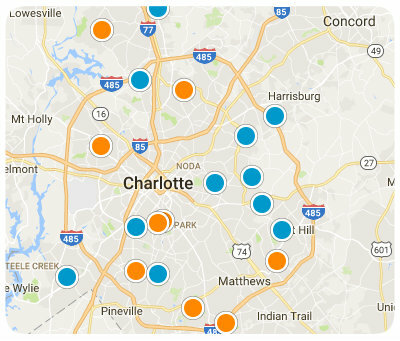 Homes in South Charlotte are some of the most beautiful for sale on the East Coast, and homeowners in the area are proud to call it their home. 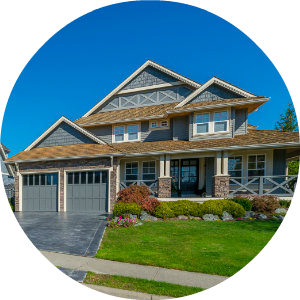 If you are interested in buying a home for sale in South Charlotte, North Carolina, please contact us today.